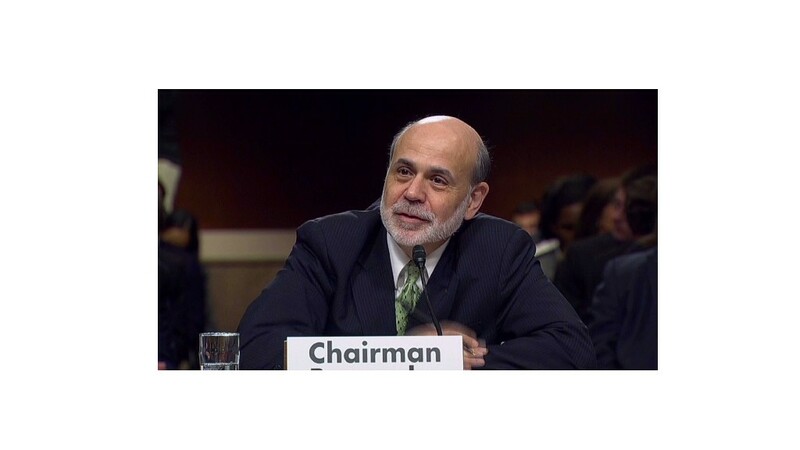 Investors hung on every word of Federal Reserve Chairman Ben Bernanke, as he spoke in Jackson Hole Friday morning. Federal Reserve Chairman Ben Bernanke made his strongest case yet for more easing, during a high-profile speech in Jackson Hole, Wyo., Friday. Bernanke staunchly defended the Federal Reserve's two previous rounds of large asset purchases, saying they drove stocks higher, improved financial markets and created more than 2 million jobs. He also refuted several potential risks associated with those policies and talked up their benefits. "The odds are strong that the Fed's asset purchases will make money for the taxpayers, reducing the federal deficit and debt," Bernanke said. "And, of course, to the extent that monetary policy helps strengthen the economy and raise incomes, the benefits for the U.S. fiscal position would be substantial." The chairman also hinted that a third round of asset purchases known as quantitative easing -- or QE3 -- could be coming, by reiterating the Fed's willingness to pull the trigger. "The Federal Reserve will provide additional policy accommodation as needed to promote a stronger economic recovery and sustained improvement in labor market conditions in a context of price stability." Bernanke added that the economy "is obviously far from satisfactory," pointing to 8.3% unemployment and the weak job market as a "grave concern" causing "enormous suffering and waste of human talent." The Fed also sees the fiscal cliff and Europe's debt crisis as major threats to U.S. economic growth, and that gloomy outlook seems to have lowered the bar for the Fed to provide more stimulus. In previous statements, the central bank has pledged to provide stimulus only if the economy weakens further, but more recently that language has changed to say the Fed will act if the economy merely stays the same. Bernanke seemed to back up that view Friday, suggesting that the Fed needs to consider acting preemptively, to "take out insurance against the realization of downside risk" -- a view often expressed by his number two in command, Vice-Chairwoman Janet Yellen. U.S. stocks initially pulled back when Bernanke began speaking, but quickly moved higher after investors digested the speech as an assurance that additional stimulus is likely. In addition to quantitative easing, the Fed still has several tools that it could consider at its next policymaking meeting in September. Among them are options to forecast low interest rates further out into the future, and reduce the rate the Fed pays banks to park excess reserves at the central bank. The Fed has exhausted its usual tool for boosting the economy, by keeping interest rates near zero since late 2008. Since then, the Federal Reserve has resorted to unconventional policies to try to lower interest rates further, including quantitative easing. The Fed has also tried to boost the economy merely by changing expectations for the future. For example, it has recently signaled it expects to keep interest rates "exceptionally low" until late 2014. That date is more like a forecast than a promise, but some Fed members have recently suggested the Fed could have a far greater impact if it made a firmer commitment. For example, the Fed could pledge to keep rates low until it meets explicit targets for economic growth, inflation or the unemployment rate. Participants at the Jackson Hole meeting seemed to think this was one of the most likely options for the Fed when it meets September 12-13. In the past, the Federal Reserve chairman has used his annual speech in Jackson Hole, Wyo. to hint at major moves to come. 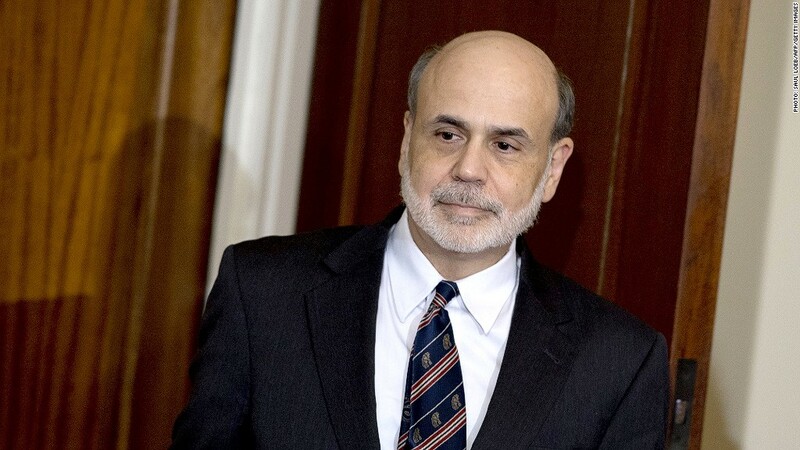 The most notable case was in 2010, when Bernanke vaguely hinted that the Fed was considering QE2. Stocks rallied shortly after. But the FOMC waited until its November meeting, more than two months later, to officially launch the bond-buying program.